After Saul’s strike on Oslo—one seemingly led by Maia herself—the Effigies’ reputation is in shambles. Now they’re being hunted by nations across the globe, grouped in with the very terrorists they’ve been trying to stop. With Maia’s resurrected twin, June, carrying out vicious attacks across the world, everyone believes Maia is a killer. Belle has gone rogue, Chae Rin and Lake have disappeared, and the Sect is being dismantled and replaced by a terrifying new world order helmed by Blackwell. As for Saul, his ultimate plan still remains a mystery. It’s all somehow connected—Saul, Phantoms, the Effigies, everything. But if the Effigies can’t put the pieces together soon, there may not be much left of the world they’ve fought so desperately to save. 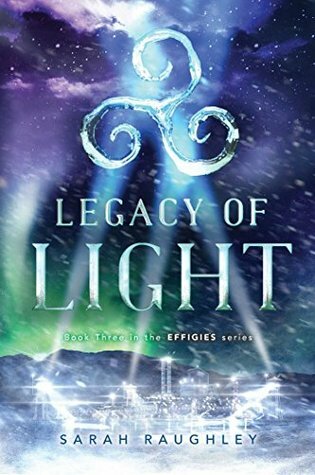 Legacy of Light by Sarah Raughley is the third book in the young adult fantasy Effigies trilogy. Each book of the series builds upon the last with the story picking up shortly after it had left off so this would definitely be a series you would want to begin from the beginning. In the first book of the series readers were introduced to high school student Maia Finley who knew that one of her idols must have died because Maia had been chosen to take her place as the new Fire Effigy. There were always four Effigies at any given time and when one died another young girl is chosen by fate to inherit the magical abilities of one of the four elements. When the city of New York came under attack from phantoms with the protection system down Maia found herself tossed into the middle of battle without a clue what to do. Luckily Belle, another Effigy showed up and saved the day but it wasn’t long until Maia’s secret was out and she was pulled into battle with the other girls and the secret government program, the Sect, that is in charge of the Effigies. Now the Effigies are split apart as Saul had brought back Maia’s twin, June, to use her to make people believe Maia had been attacking the city. With Belle gone rogue and Chae Rin and Lake disappeared, Maia branded a terrorist and the sect being dismantled the fight against Saul is at an all time high. The entire Effigies series was really non-stop action from the opening pages of book one. I was hooked on the story from very early on and even at book three the author continued to surprise me at some of the twists and turns in the series. The characters and world building was great and the story ends up spanning generations of Effigies and tying everything together quite nicely after keeping readers on their toes as the girls fought to bring down the evil forces. Sarah Raughley grew up in Southern Ontario writing stories about freakish little girls with powers because she secretly wanted to be one. She is a huge fangirl of anything from manga to scifi/fantasy TV to Japanese role-playing games, but she will swear up and down at book signings that she was inspired by Jane Austen. 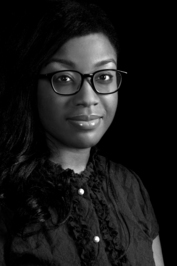 On top of being a YA writer, Sarah has a PhD in English, which makes her doctor, so it turns out she didn’t have to go to medical school after all. Great review Carrie, but don’t think this is my cup of tea.